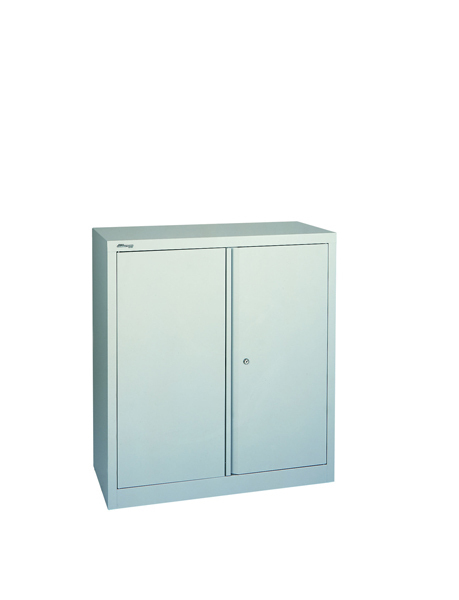 Keep your office or workspace tidy and organised with this Jemini two door stationery cupboard. It has been constructed to ensure it provides a sturdy and strong storage space and is made from hard wearing material for ultimate durability. The doors fit together perfectly and are lockable in two places, enabling you to secure your paper and pens when youre not there. Its stylish, textured finish makes it look professional and enables it to fit into any environment without looking out of place.